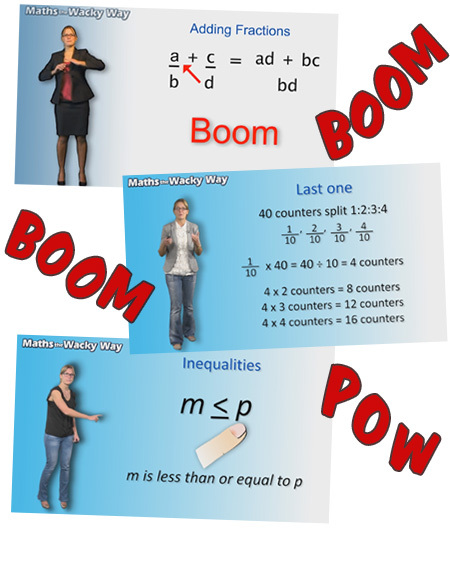 After the tremendous success of her Boom Boom Pow YouTube video, Claire has listened to her followers and created nine new videos to cover more topics from the book, Maths the Wacky Way. 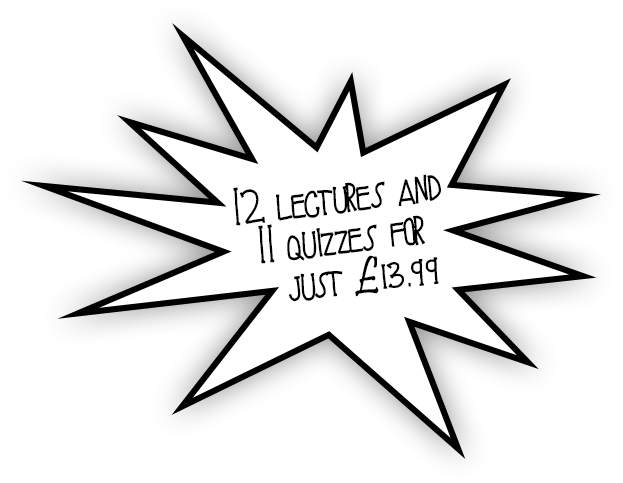 The duration of the lectures included on the course are over two hours, all currently available for just £11. There are also quizzes for each topic to check your understanding. Maths the Wacky Way is not just for children, it has helped people of all ages. Check out Claire’s three preview videos on the link below. If you like what you see, sign up the wacky way! She made learning fun, logical and very teenage friendly. Claire managed to help me remember complicated topics by relating them to teenage things which really helped. Claire helped me with Maths by using songs and dance moves to understand. It really did work! I was delighted to find that Claire's teaching methods and her superb notes both captured the imagination of my 16 year old daughter but also motivated her. Claire's methods and notes have been by far the best I have come across as a parent. They are an invaluable source to GCSE Maths students and teachers. I had a big test coming up, I didn't know how to do mixed numbers and how to add fractions. My teacher couldn't even explain it to me. My parents didn't even understand. The test was 1 day away when I found Claire's book on Amazon. I also heard of her videos from a friend. I was so happy! No other videos helped me like Claire did. Claire helped me understand the methods. I was lost, but now I know. Really impressed with your knowledge. Thanks again, Ms. Claire!